Patricia E. Norton DMD offers a variety of family dental services all conveniently located just south of Pershing Road on North Main Street in Decatur, IL. Click below to learn more about Dr. Norton. 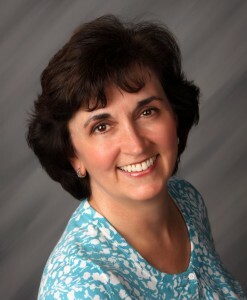 Patricia E. Norton DMD is always welcoming new patients to her great practice. If you would like to schedule an appointment just call or fill out the contact form. With custom veneers, bonding, and whitening you can have the perfect smile you've always wanted. Contact us to make an appointment for your brand new smile! Patricia E. Norton DMD is conveniently located on North Main Street just south of Pershing Road. Our office offers a variety of payment methods including Care Credit. Visit our contact page to apply. From fillings to crowns, from extractions to root canals, Patricia E. Norton DMD can handle all of your general dentistry needs. At Patricia E. Norton DMD we are proud of our skilled, cheerful staff. Please take a moment to get to know our great personnel! I have enjoyed working as an assistant for more than 20yrs and I also specialize in sleep and sedation dentistry. When I'm not working I enjoy spending time with my family and practicing yoga. 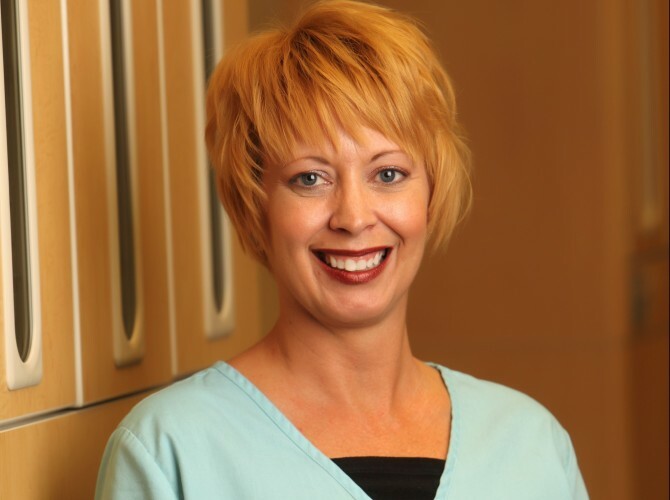 Cheri Graduated from Ferris State University in Dental Hygiene in 2001. 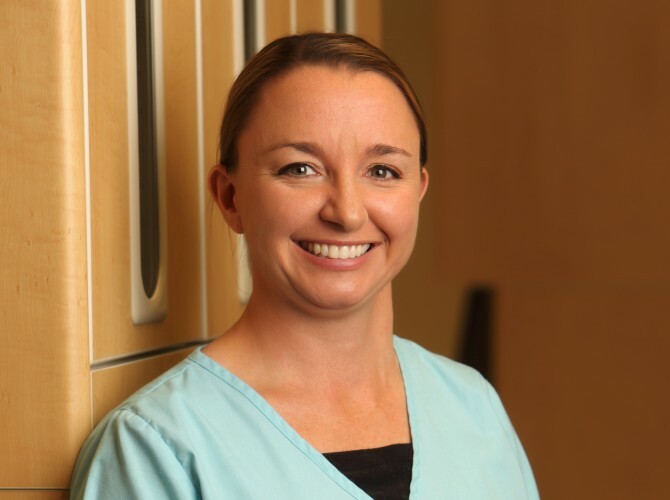 She takes pride in providing top notch dental care to her patients. 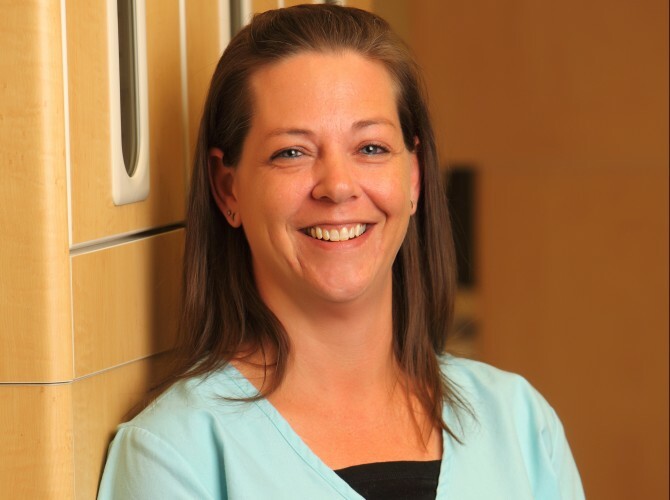 Cheri enjoys running and cycling, and stays busy with her husband and three daughters. Im the Mother of two wonderful sons. I'm a huge Nascar fan and I love Mexican food. I've been with Dr. Norton since for many years now it is the best career move i have ever made. I graduated from MTI in Springfield, IL. in 2007. love my job! I have had the privilege of working as business office assistant and receptionist for Dr. Norton since 2005. The thing that I love the most about my job is getting to know the patients. They become almost like family after so many years. Below are some videos about some of the procedures we perform here at Patricia E. Norton DMD. Have a look and learn more about how these procedures work and what to expect if you are coming to see us. Bonding – Did you know? Home Whitening – Did you know? Veneers – Did you know? Did you know that porcelain veneers are thin translucent shells of porcelain that are bonded to the teeth? Here are some kind words from some of our patients here at Patricia E. Norton DMD. We hope you have a great experience with us, too! My jaw was healing from surgery due to a car accident. I could barely open my mouth, but Dr. Norton was able to work on my teeth and so gentle that I hardly knew she was doing it. I have never been to a dentist who is so conscientious. My two implants work better than my own teeth. I have always been afraid of dentists, until Dr. Norton. What I like about her is that she lets you know what is going to happen step-by-step and it doesn't hurt when she's working on you. Nothing but perfection, that's what Dr. Norton does. I fell on my face which knocked my two front teeth back so far that I was afraid I would lose them. The pain was unbelievable. Dr. Norton knew just what to do and calmly reset my teeth to their proper position. They are as good as new and you would never know that anything had happened. When we first moved to town, our family tried several dentists until we found Dr. Norton. We have 14 children and not one of them is afraid to come see her. She has a very gentle touch. Her care is excellent. Her staff is professional. I would recommend her to anyone.